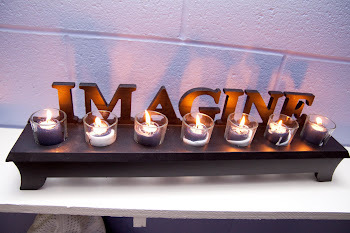 Imagine Yoga & Wellness, LLC: Welcome To Imagine! For those of you who don't know me, my name is Linda Miller. I have been teaching yoga for 9 years, have been practicing yoga for many more. I've studied Tai Chi extensively and am a learning geek. I love to read and will voraciously consume any book that will help me better understand the inner world, our inner spirit and our connection to Divine Spirit, God, The Universe, call it what you will. Because of this, I have a long line of certifications and initials that I could use to follow my name but paradoxically, because of this, I don't really care much about those things. I LOVE yoga. When I first started teaching to adults, it was mainly because MY yoga teachers/mentors were leaving and moving on to other places. They encouraged me to take their spots, teach their classes and take care of their long time students. I was petrified. I am very shy by nature, although most folks would beg to differ... but that's another blog. With their encouragement and guidance, and the support of those students, I found the courage to teach. 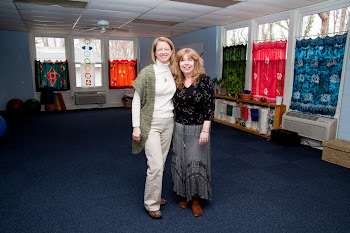 Before I knew it, I was teaching many classes a week and when I turned around and looked I had built a small business, Yolinna Spirit, with a website, newsletter and many other offerings besides yoga. John Lennon said life is what happens when you're busy making other plans. Wise Sage, John Lennon. I can't say I'm very good at making plans. I tend to spring in and live. Sometimes with great results, sometimes... not so much. That's the reason why I'm excited about Imagine. Life is all about balance. One of the primary focuses of Yoga-Tai Chi-Reiki, is to learn to create balance. Ann & I are a great example of this principle. We are quite yin and yang. Ann is a great planner, an English teacher and writer, she will keep us on the straight and narrow, making our message clear. I am the opposite, I leap first and ask questions later. I get things done. When we get bogged down with the endless details of starting a new business, I plow through like the Ox that I am, according to Chinese Astrology. Together we will make this dream come alive. Today is the anniversary of John Lennon's death. I remember the day 30 years ago vividly, like it was yesterday. I am so proud to be here, honoring his legacy of dreamers and having the opportunity to share that dream with you, our Imagine followers.